The 10 Best Road Races in Iowa! Keep those running shoes laced up tight in the state of Iowa, because no matter the season, Iowa offers all sorts of awesome and rewarding road races throughout the year. Whether you’re a weekend warrior or dedicated athlete, maybe you just like joining in on the party, there are more than a few Iowa road races that deserve your attention. And to get you on the right running path, it’s worth checking out these 10 best road races in the state of Iowa. Noted as one of the best little races in the Midwest, for over 30 years the B-rrry Scurry has raced through the streets of Clinton during the mystery month of February, where temperatures have ranged from 60 degrees to below 20 in years past. Hosted by Clinton Community College, this race doesn’t just have variant weather, but with a flat and fast four-mile course, and a family-friendly and festive after-party, the B-rrry Scurry could be your next favorite road race in Iowa. The Grand Blue Mile in Des Moines may be one of the shortest distance races in Iowa, but it’s certainly one of the most action packed. Featuring a one-mile race course, the Grand Blue Mile stretches down Locust St. and Grand Ave. of downtown Des Moines, providing a very flat track to try and get your best mile time. 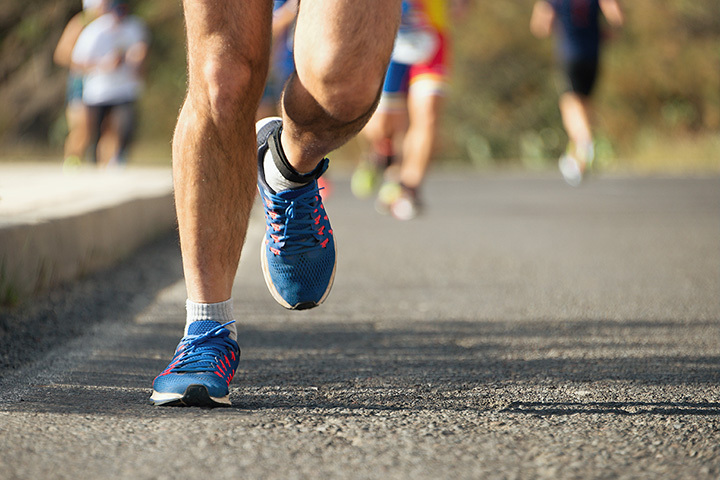 Professional athletes, competitive runners and recreational sportspeople alike compete in the Grand Blue Mile within corresponding race categories, making this road race one for everybody to enjoy. Participants can choose from either a 10K race or 5K run or fitness walk for The Great River Bridge Race in Burlington. Both race categories get to experience what makes this race so special, including not only the Great River Bridge which spans the Mighty Mississippi to connect Burlington and Gulf Port, Illinois, but also the infamous Snake Alley. Serving as one of the most crooked streets in America, Snake Alley and the Great River Bridge Race will give you a race to remember. Few other towns in Iowa are so fitting to host a 26.2-mile race than Marathon, Iowa. The Marathon to Marathon race begins in Storm Lake and heads its way north to the finish line and welcoming people of Marathon. This race is not just novelty however, and acting as a USA Track and Field Certified and Sanctioned event, as well as a Boston Marathon qualifier, the Marathon to Marathon has attracted a large number of athletes and spectators over the last 10 years, and it could be your next big race. Self-reported as Iowa’s Distance Classic, Dam to Dam lives up to its name, beginning its half-marathon course at the Saylorville Dam and ending atop the Iowa Women of Achievement Bridge in Downtown Des Moines. While these two scenic namesakes of the race are remarkable to run over, some of what makes the Dam to Dam race so special is what lies in the middle, including scenic Iowa farmland, a motivating Memorial Hill and the eye-catching Pappajohn Sculpture Park. Named after the Davenport legend and jazz musician Bix Beiderbecke, this seven-mile race is not only popular for it’s challenging incline and looped course, but it’s the after-party that really brings some life to the streets. Olympic athletes, Iowa natives and Davenport denizens participate in the Bix 7 road race every year, and with live music along the course, a slip-n’-slide at the race’s middle, and an epic downhill finish towards the finish line, no matter the athlete you consider yourself, the Bix 7 is right for you. Every September hundreds of runners line up on Locust St. in downtown Des Moines to participate in the Capital Pursuit 10-mile road race. Featuring some of the most scenic areas downtown Des Moines has to offer, including the collegial Drake University neighborhood and Western Gateway Park, this late summer race is geared for anyone who likes to run. Featuring a few hills, many scenic straightaways and a perfect time of year to go for a run, the Capital Pursuit is worth checking out no matter the shape you are in. The NewBo run in Cedar Rapids is a bit of a mixed adventure mostly taking place on the road, but three (of the best) miles on this course follow the well-groomed Sac and Fox Trail, Iowa’s oldest National Recreational Trail. If you’re down for the dirt on the small section of this scenic run, then the NewBo Run is a healthy way to spend your next Labor Day. Help the University of Iowa Hawkeyes celebrate the beginning of their season with the Kickoff to Kinnick 5K in September. Not only does this newly instated 5K benefit the University of Iowa Children’s Hospital, but it allows you to finish on the field of Kinnick Football Stadium, home of the Hawkeyes. A great opportunity for fans of all ages, the Kickoff to Kinnick makes you feel like a real Iowa Hawkeye athlete. Perhaps one of the most premier running races in the state of Iowa, the IMT Des Moines Marathon for many runners is the epitome of the racing season. Featuring 26.2 miles that takes you in and around downtown Des Moines, including a lap on the Drake University Track, this race is loaded with plenty of participants, ample water re-supplies and a cheering crowd to help you to the finish line. Featuring all sorts of race categories, even if you’re not going for the big 26.2 finisher medal, there is ample opportunity to join in on the fun at the IMT Des Moines Marathon. View more Iowa Road Races.